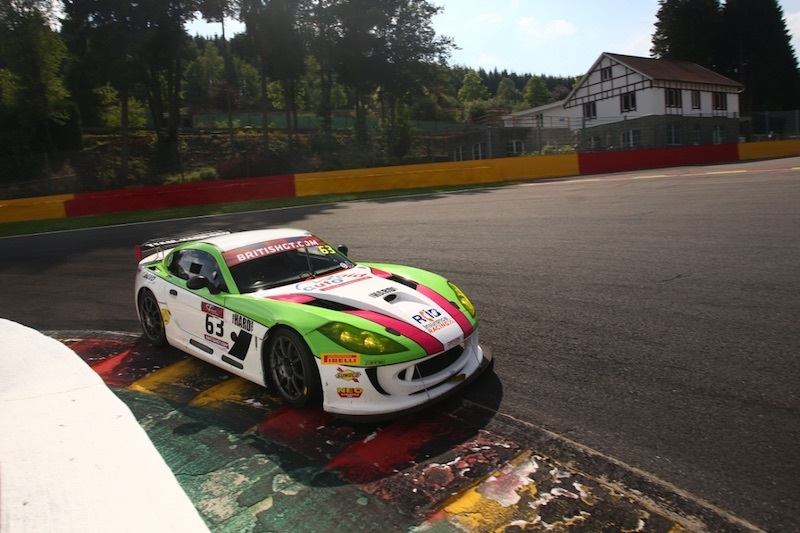 Ginetta G55 GT4 driver Matt Chapman and new British GT4 Championship team-mate Jake Giddings combined to deliver a top 10 best during the fifth event of the 2017 season at Spa-Francorchamps in Belgium on Saturday, 8th July, as the highlight of an otherwise mixed weekend. 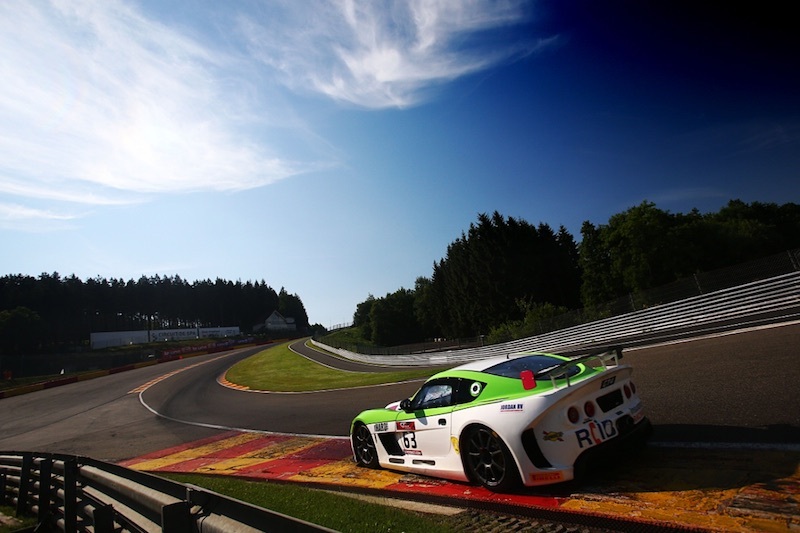 With his maiden season in the ultra-competitive world of British GT racing having been impacted by a range of mechanical woes across the first four race meetings, Oxford-based Chapman was pleased to see his Ginetta G55 GT4 firing on all cylinders at Spa. Unfortunately, though, other factors came into play at the Belgian track which prevented Chapman and former GT4 Champion Giddings from fully displaying their genuine front-running pace in the No.63 Autoaid/RCIB Insurance Racing car. Food poisoning prior to the race meeting for Chapman didn’t get things off to the best start but a strong qualifying run did put the team-mates in a position to mount a challenge for a healthy result from seventh on the grid in race one. Contact from the sister Ginetta at the first corner on lap one, though, meant they had to battle back from 18th into the top 10. Alarmingly, a wheel detached itself from the No.63 car at the end of the race but, fortunately, after the chequered flag had fallen. Hoping to rise through the order in race two, the duo didn’t even get to take the start of the race when, after the out-lap to the grid, it was discovered two of the five wheel stubs where found to be missing on another wheel. With a very real risk of another wheel detaching, on the grounds of safety the decision was made not to race. “Unfortunately, the food poisoning before the weekend did hamper things at the start”, reflected 17-year-old Chapman, “I do love Spa, obviously I won there last year in the [Ginetta] GT5, but the luck hasn’t been with us again this weekend. The car was set-up well, Jake was quick and we’ve definitely been competitive and getting quicker and quicker. During qualifying on Friday afternoon, Chapman took the round seven session and produced a very competitive seventh fastest time to secure a slot on the fourth row of the grid for the first of the two one-hour encounters on Saturday. Making a good start to race one, as Chapman rounded the tight La Source hairpin his Ginetta was hit by the sister Autoaid/RCIB Insurance Racing car and the Oxfordshire racer dropped down to 18th position in GT4 as a result. Moving up into 16th place ahead of a Safety Car period on lap three, Chapman climbed into the top 15 soon after the re-start before the action fell under caution again on lap six. Having risen into 13th place in GT4, eighth in the Silver class, the Safety Car remained on track past the opening of the pit-stop window and so when racing resumed with just under half an hour to run Chapman pitted. Giddings got behind the wheel and joined the action still holding 13th place overall but an improved seventh in the Silver class. The former GT4 champion broke into the top 12 with around quarter of an hour to run and then moved into 11th as a result of a spin for one of the front-running McLarens. Then, with just a couple of minutes to go, an enforced pit-stop for Joe Osborne’s McLaren elevated Giddings into the top 10 of GT4 where he remained to the flag at the end of the hour, also taking seventh in the Silver class. There is now a four-week break in the British GT Championship calendar with Brands Hatch Grand Prix Circuit in Kent set to host the next instalment of action over the weekend 5th/6th August.